Print out Visitor passes in less than 3 seconds with the Dymo LabelWriter 450 Twin Turbo printer. Print Visitor passes on one side and Tardy Student passes or different color Visitor passes on the other side. 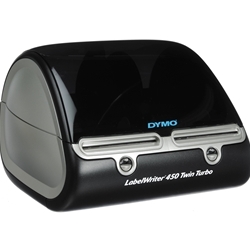 Fast, reliable and never needs ink, the Dymo LabelWriter 450 Twin Turbo will print passes for years to come.